To order online, simply click the “ADD TO CART” button below the item you wish to order. Then follow the on screen instructions. If you are concerned about placing your order online, you may place your order over the phone at (760) 214-5436 during business hours: Monday through Friday from 9 am to 4 pm PST. We use Paypal for print items and Stripe for digital products. Both merchants accept all major credit cards. All orders are shipped USPS Priority Mail. Orders for all in-stock merchandise are generally processed within 24 hours. Items being shipped by USPS Priority should be received within three days. Depending on the amount of the item ordered shipping charges vary from $4.95 – $8.95. Shipping charge applies only to orders shipped within the Continental United States. All other locations will be charged actual shipping costs. We protect you by utilizing Paypal and Stripe’s secure on-line credit card transaction technology. We also protect your privacy and never give out your personal information under any circumstances. Any information we collect about you is used only to process orders and keep in touch. We receive a small affiliate commission for a few products that we recommend. We do not run ads, and would never recommend a product that we do not own, use, and believe would be beneficial for you to do likewise. All items are warranted free from defects for a period of 1 (one) year from the date of purchase. If your items fails to operate properly under normal conditions, due to defects in material or workmanship, it will be replaced. For warranty questions or information call (760) 214-5436. 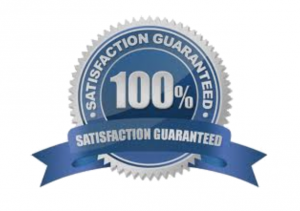 We are so confident of the quality and value of our products that we offer a 100% satisfaction guarantee. If one of our products does not meet your satisfaction please call or e-mail us your name, address, daytime phone number and reason for product dissatisfaction within 30 days of purchase. We will contact you and issue a product return authorization that will allow you to return the product for a full refund of your purchase price not including shipping and handling charges. Please Note: Customers are responsible for shipping costs of returned items. All return items must be in new condition. Our 100% satisfaction guarantee holds for digital products, too. If a product does not meet your satisfaction within 30 days of purchase, just let us know and we will refund your money. All content, programs, audio tapes, books and information on this website are covered under US Copyright laws. Any attempt to duplicate without the EXPRESS WRITTEN CONSENT of Hal Seed Books is prohibited by law.